The longest pier in the World! 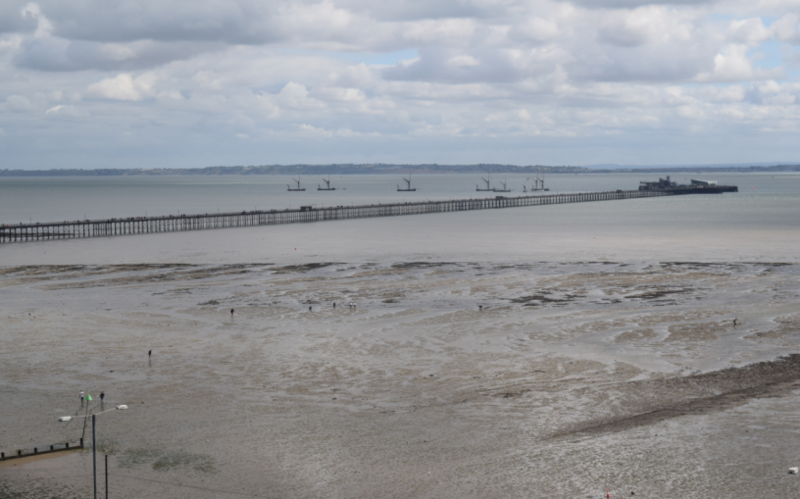 The longest pier in the World seen from the Southend bank. 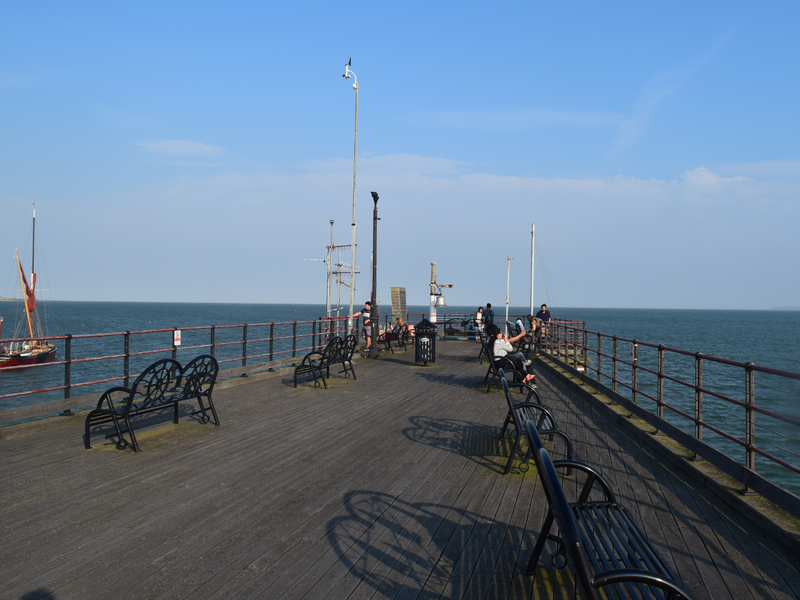 The longest pier in the World is located in Southend town (Southend-at-sea) in south eastern part of Britain. 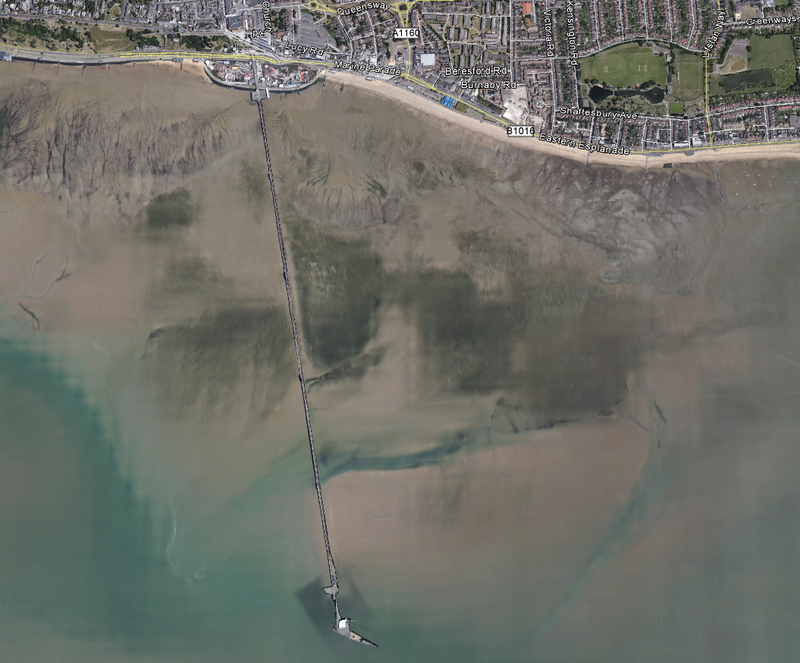 This Landmark is extending 2,16 km into the Thames Estuary. The pier has been built in XIX century. First it was a wooden pier, next a iron pier, opened in 1888. 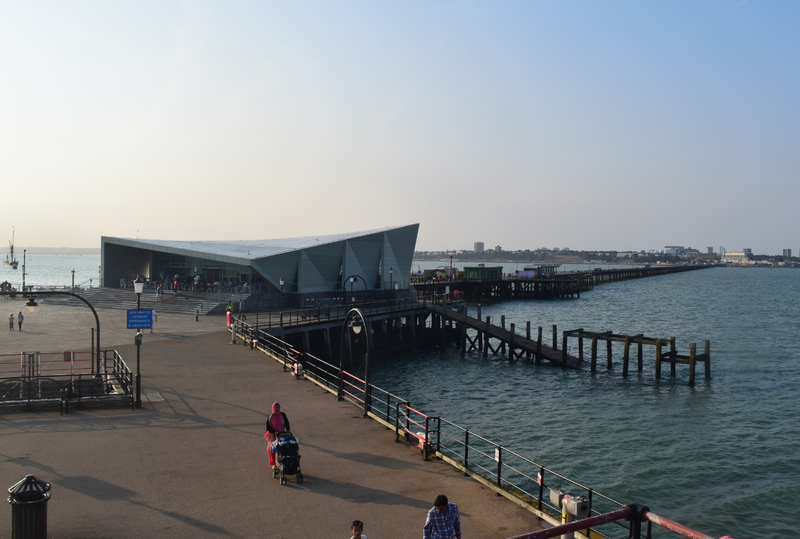 The reason, for what the pier in Southend was built was a tourist role of the town. Government was afraid, that many ships will not dock in the town, becouse of a large mudflats, that recedes over a mile from the beach at low tide. All ships would go to e.g. 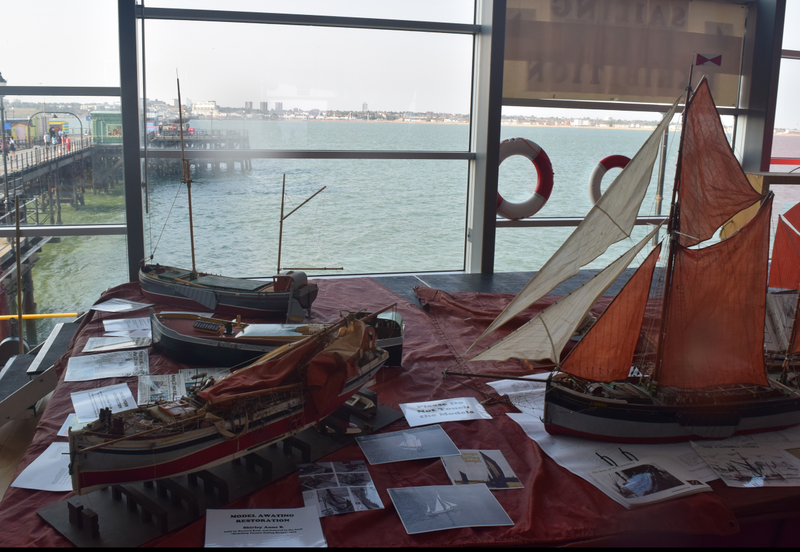 Margate, because there were much better docking facilities. The story about the longest pier in he World told me my good colleague from my previous work – Currel Ryan, an english young geographer, who knows many interesting places, especially in southern part of UK. He shown me this landmark on Google Earth (pic. 1) and encouraged me to go there. 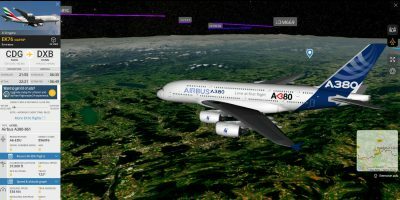 Because I like watching remote objects and mountains I though, that it would be very nice place to see the London skyscrapers and whole Thames Estuary from there. Pic. 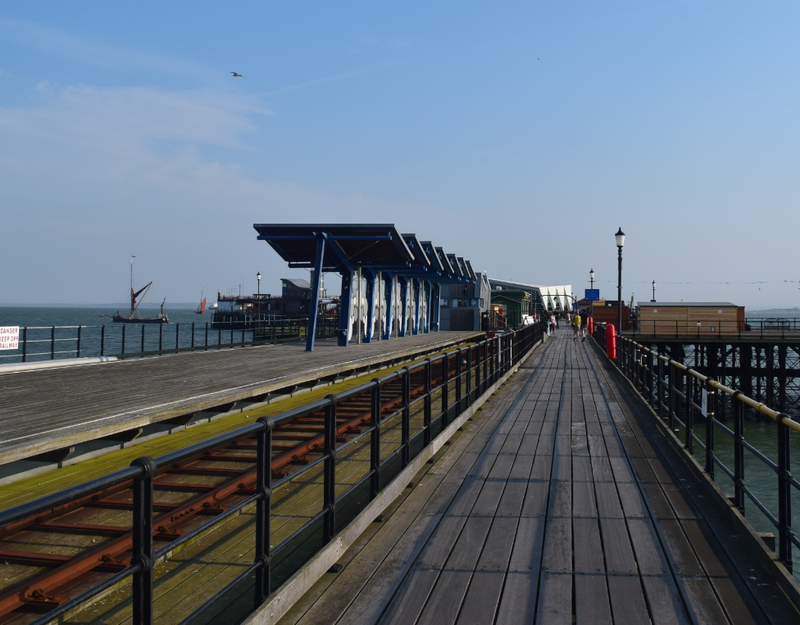 1 The Southend pier, the longest pleasure pier in the World. We went to Southend for longer weekend last year. 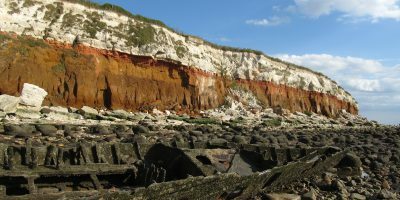 Late August is the best moment to go to seaside, because of the highest temperature of water, which raises up to 20 deg in this part of North Sea. Pic. 2 The Southend beach with view on the pier. Pic. 3 Filthy Thames estuary bedding during the low tide. Pic. 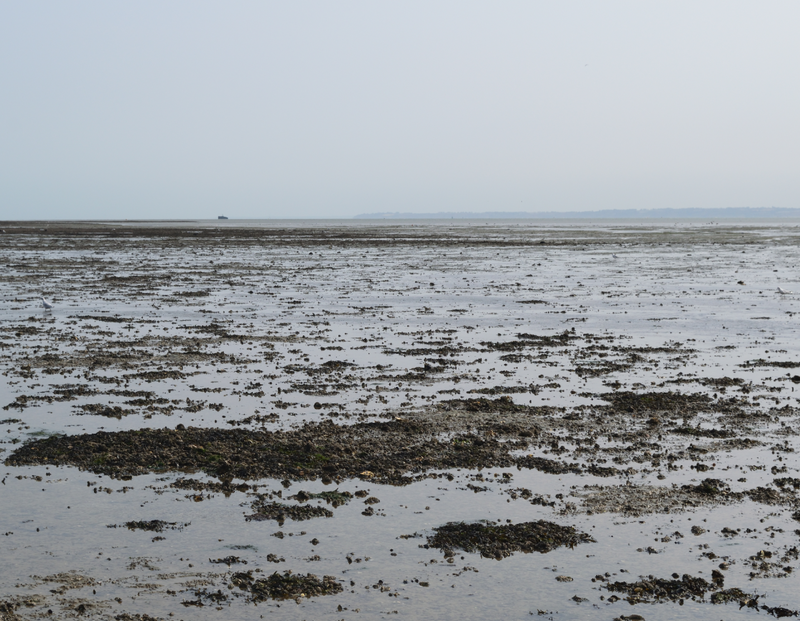 4, 5 The Southend beach panorama from the Thames Estuary during the low tide. The area near the beach during the low tide is filthy. It may discourage people. A beach bedding is filled up a sharp seashells surrounded by mud and algae. In my opinion the Southend beach isn’t worth to see. You can enjoy it during the high tide only. Let’s see on the pier now. 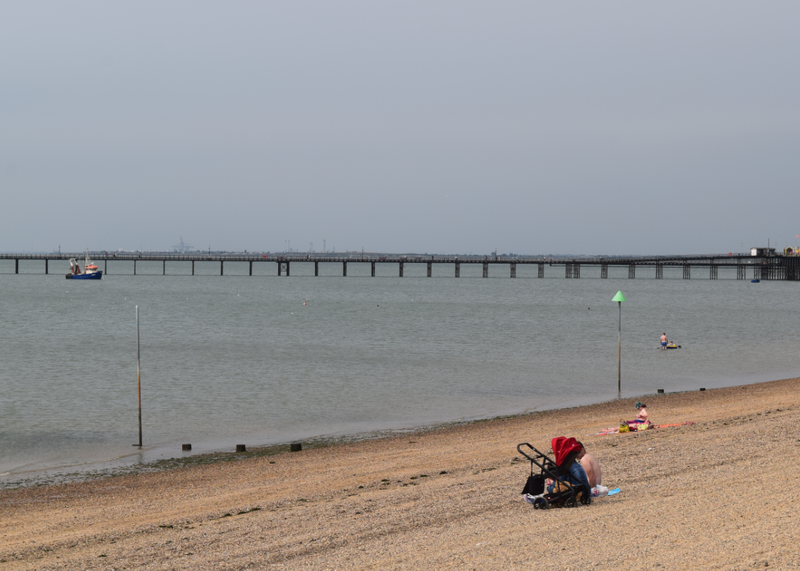 When you come through the Thames Estuary during the low tide you are nearly in the halfway to the end of the pier. Pic. 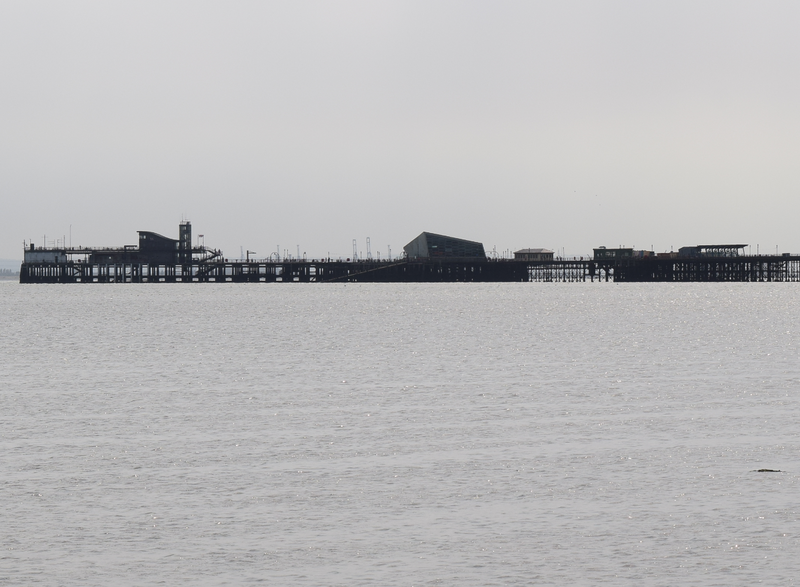 6 View to the Southend pier head from around 1 km distance. 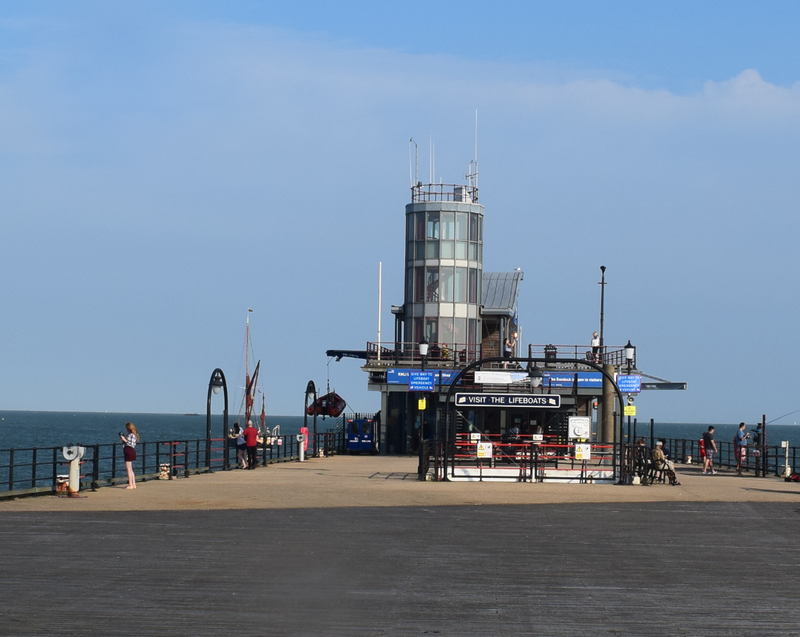 If you want to visit a whole pier you need to pay th 4 GBP admission on the shoreward end of the pier. I think, that this price is worth to visit the best place in whole Southend. It will compensate your staying after “enjoying” a sludgy beach. Pic. 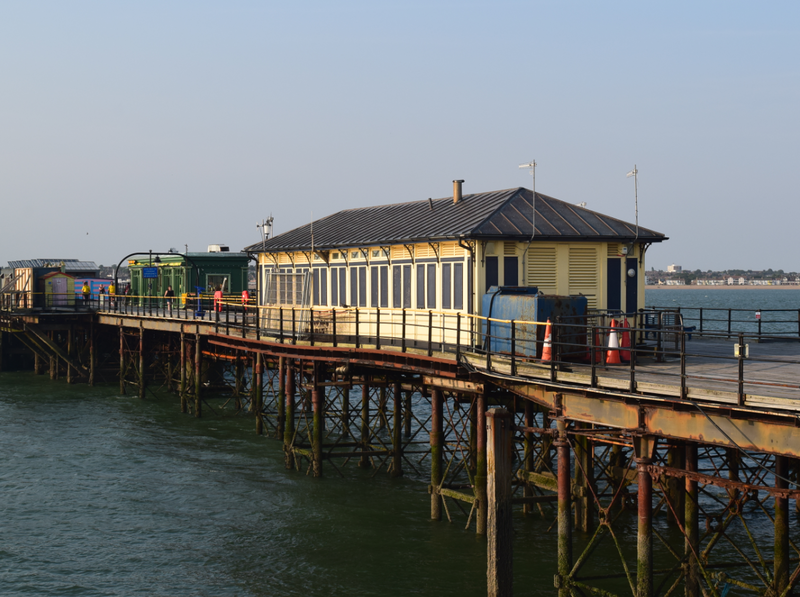 7 The Southend pier may even boast a rail station! It is unfortunately out of use now. One of the impressive things, which may remain for long in your memory is railway, which leads from the shoreward head. This is a nice narrow-gauge railway, which operates every day, when the pier is open. Pic. 8 View on the Southend pier’s head from the lifeboat station view terrace. The most prominent object is the Royal Pavilon, which houses a small sailing exhibition. Pic. 9 View on the lifeboat station. Lifeboat station uses two boathouses due to large tidal range and extensive drying foreshore. Pic. 10 Southend pier’s head view terrace. Pic. 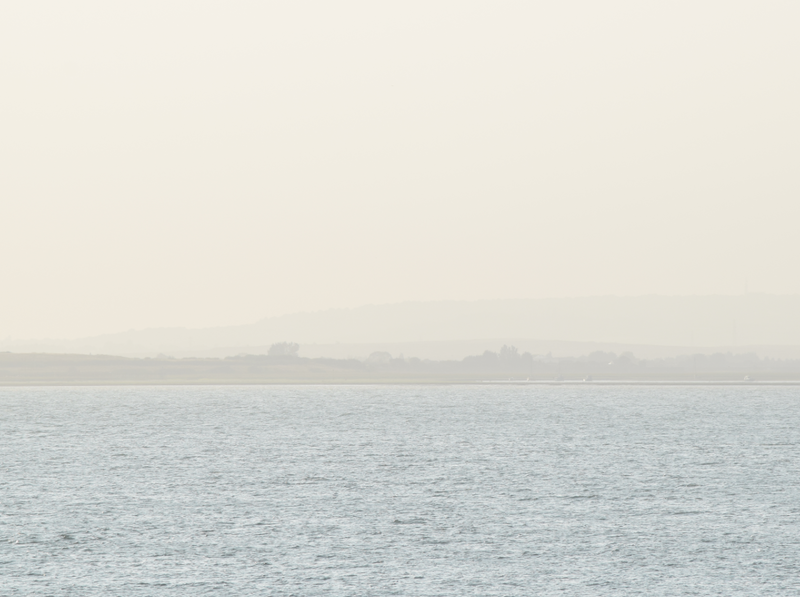 11 View on the opposite side of the Thames Estuary. Pic. 12 Inside the pavilion you can find some symbols and mocks-up in terms of the sailing. Pic. 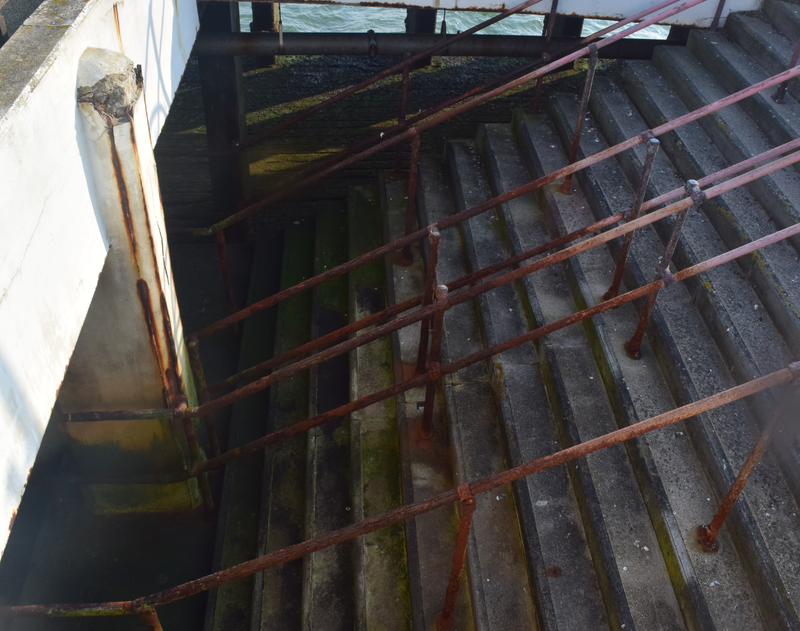 13 Stairs to lower level of the pier. Pic. 14 Main part of the Southend pier just before the head. The base of this pier contains iron piles and supporting girders. The iron construction keeps the wooden footpath. Formerly this object was wooden, but were destroyed by fires. Fires were quite often on this object. Recent fire burst in 2005. It was an accident. Because all leisure objects on the pier are located quite far from the shore and the town, there are not easy accessible by fire brigades. Hence fire may spread for whole object and destroy it. Pic. 15 On the way back to the town. Pic. 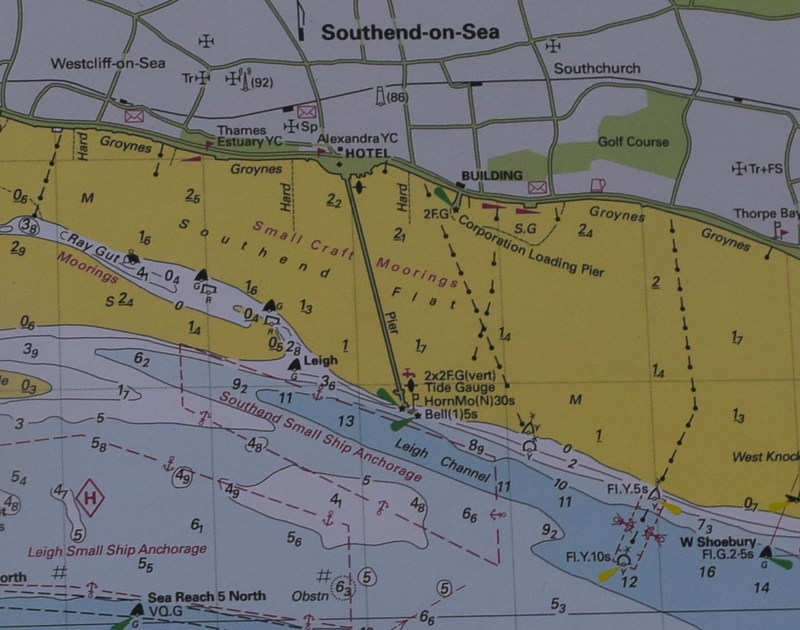 16 The Southend pier on the WGS 84 map (Ordnance Survey). Reference grid rectangular 2 km x 1 km. 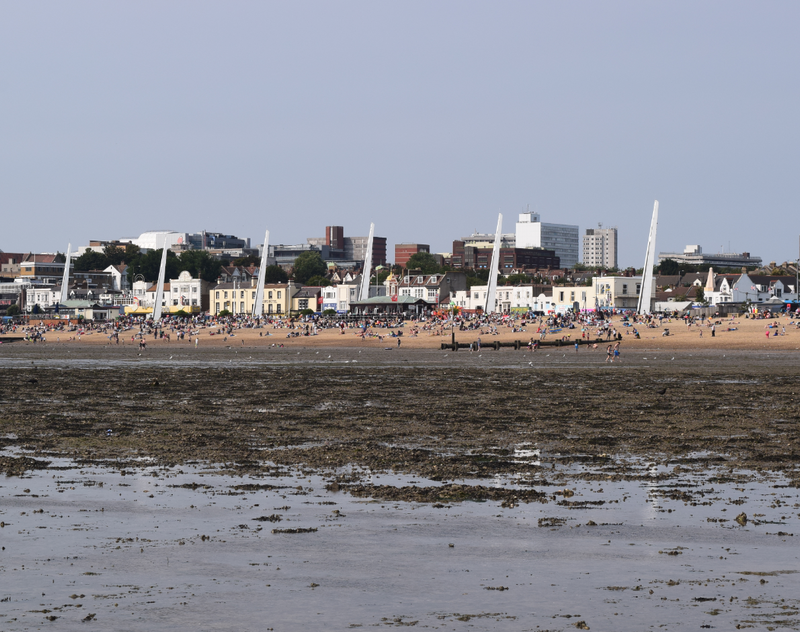 Basically pier has been built on the wide Southend Flat with maximum depth around 1,5 m during the low tide. Pic. 17 View on the longest pier in the world from the Southend bank. There is no another interesting places to see in Southend-on-sea. This is typical english seaside resort. You can find here a lot of shops and leisure spots like funfair. Pic. 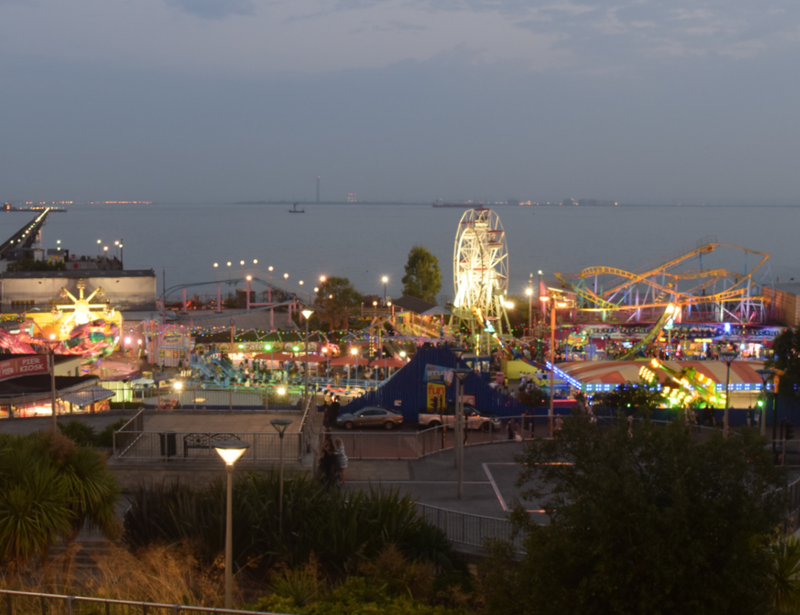 18 View on the Southend funfair with the pier beyond. 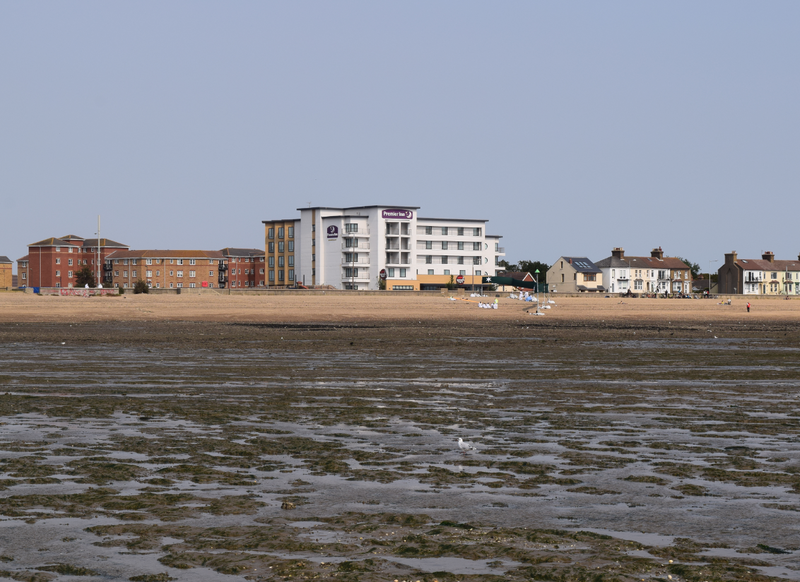 Southend-on-sea, comonnly referred to as simply Southend is situated on escarpment, which offers an excellent view on the Thames Estuary in places between the building and trees. There is no viewpoint in the town. One place, which offer you a good view to the Thames and pier is the view terrace just above the western esplanade (pic. 17). A few hundred meters west there is a Cliff Railway, which may help you to get on the top of the escarpment. I have not seen the London skyscrapers from there. 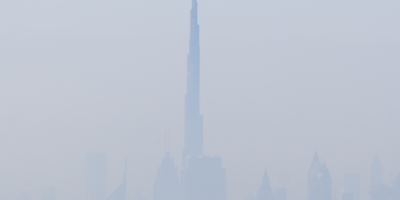 I wouldn’t spot it from the pier, due to thick haze. Next day the visibility improved, I tried to spot it from the escarpment, unfortunately in vain. I could see a whole Thames Estuary rather than London. 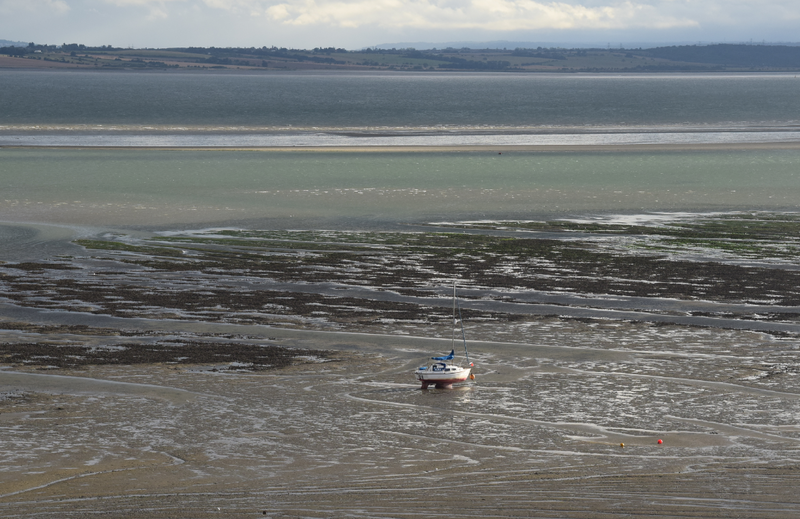 I can admit, that it doesn’t look very well during the low tide. The period with low water level attract the people, who want to straddle with dog or fly a kite. Pic. 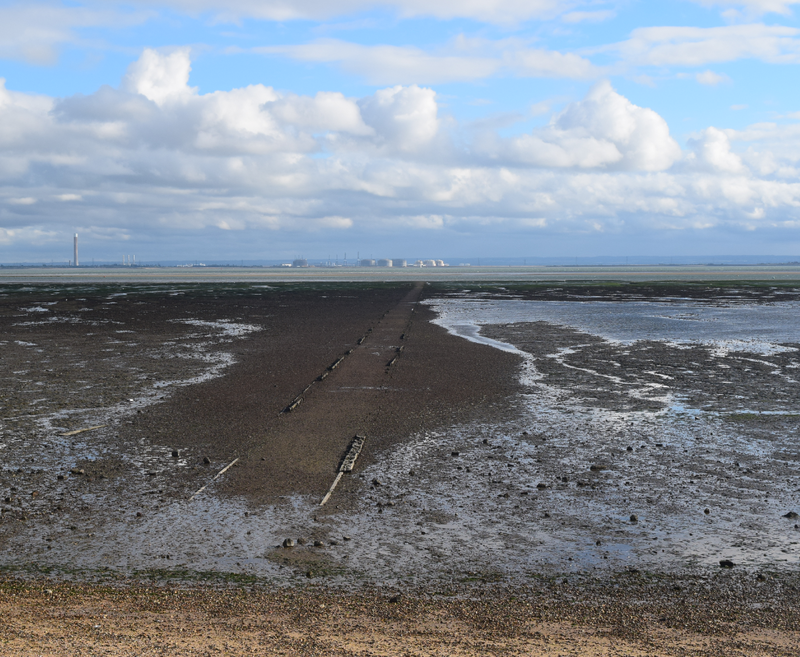 19 Thames Estuary during the low tide. There are a few tidal footpaths leads onto the water. Pic. 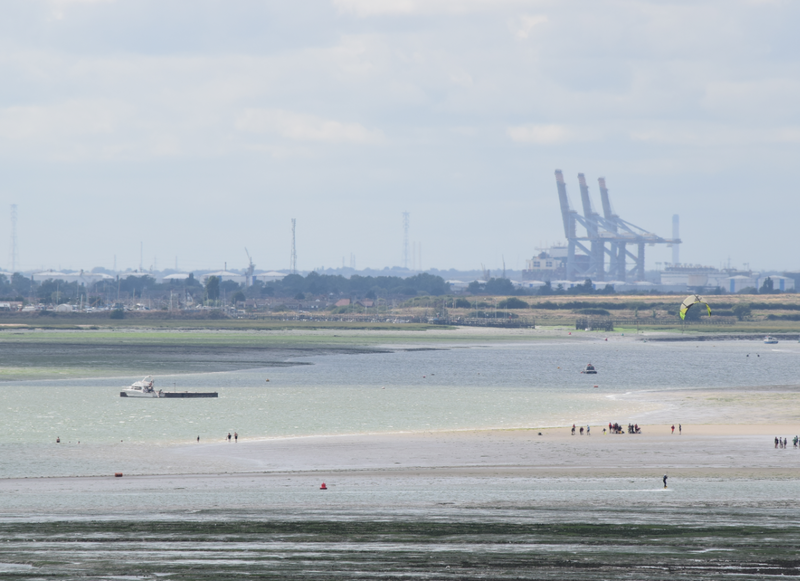 20 The Thames Estuary during the low tide with Canvey Island and Coryton Oil Refinery beyond. Pic. 21 The tide is getting high on the Thames Estuary. View from the top of the Cliff Railway. To Southend is the best to go from London by train. A few kilometres outside the town there is a nice castle, which you are able to see from the train. Pic. 22 The Hadleigh Castle seen from the train, 55mm. 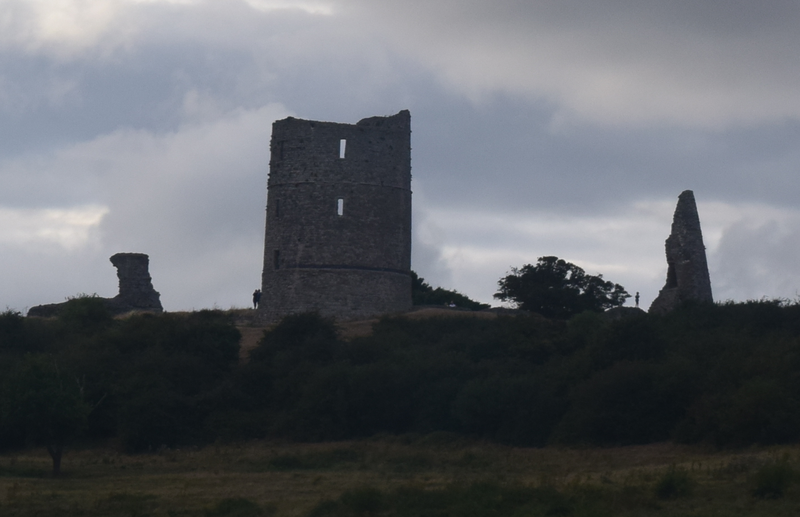 Hadleigh castle is a ruined fortification, built in XIIIth century by Hubert The Burgh, a first Earl of Kent. The objecthas been destroyed mainly by landslides and subsidences. In the effect the north east toer has been almost totally collapsed. We back to London around 7 pm next day. 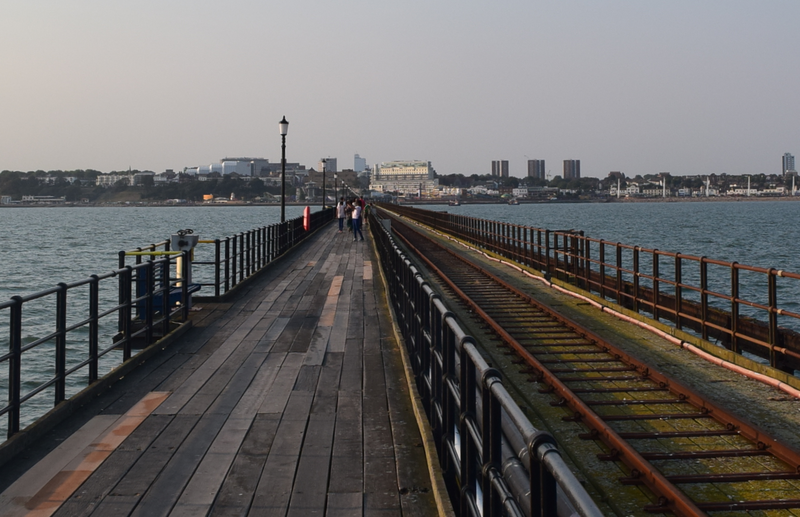 In my opinion the Southend is a good place for one day trip to see the pier, enjoy the narrow-gauge railway and view from escarpment.